It was a beautiful day for the grand opening event for our newest branch location: 5380-B Eisenhower Avenue, Alexandria, Virginia. 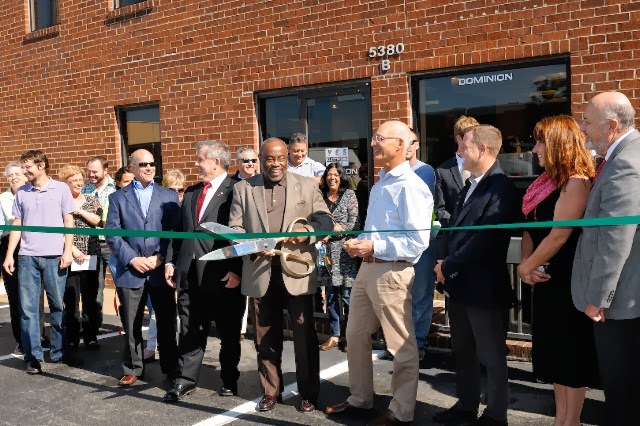 Mayor William D. Euille officially kicked off the ribbon cutting ceremony and representatives from the Alexandria Chamber of Commerce welcomed Dominion Electric Supply into the community. We had a great group of manufacturers showing new product including Atkore AFC, Greenlee, Hubbell Wiring Devices, Klein, Leviton, Milwaukee, Philips Lightolier, RAB, Schneider Square D, Southwire and Sylvania. And the food trucks were amazing! Thank you to the customers that were able to attend, I know it's really hard to participate in these events during the day. For those of you who couldn't stop by, I will dedicate my next couple posts to bring you the product that was featured. First up, the ever popular, USB Charger Receptacle. The newest version is from Hubbell Wiring Devices. 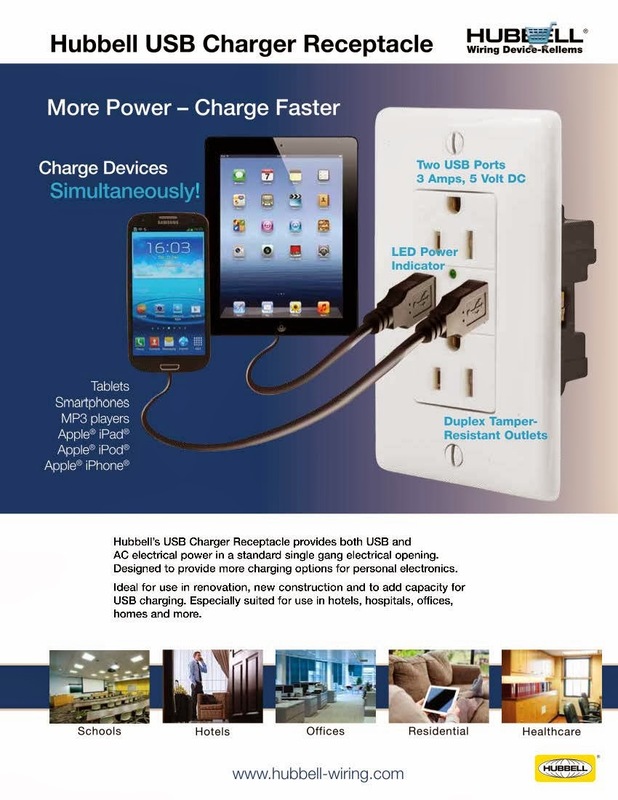 Hubbell's USB Charger Receptacle provides both USB and AC electrical power in a standard single gang electrical opening (but caution! it doesn't quite fit in metal old work boxes.) It was designed to provide more charging options for personal electronics.